Posted October 21, 2013, 7:00 a.m. In the race to represent the 87th District in the Virginia House of Delegates, one-term incumbent Delegate David Ramadan (R-VA 87th) is challenged by retired U.S. Air Force Major John Bell (D). The 87th District encompasses much of south-eastern Loudoun County along the Fairfax County border, as well as an area of north-western Prince William County. This area includes Antioch, Stone Ridge, Arcola, Dulles Airport, Dulles Town Center, and parts of South Riding, Brambleton, and Ashburn. 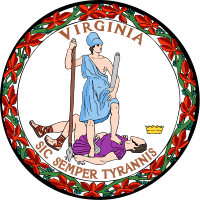 The Virginia House of Delegates is the oldest legislative body in the Americas, having been established (as the House of Burgesses) in 1619. There are one hundred delegate districts across the entire commonwealth. The Republican Party currently holds sixty-five seats, a solid majority. The Democratic Party holds thirty-two seats, one seat is held by an independent, and two seats are currently vacant. Delegates must be at least twenty-one years old and residents of the district they wish to represent. They are elected to two-year terms, and there are no term limits. Two years ago, I made no Off on a Tangent endorsement for this seat. Now-Delegate David Ramadan (R-VA 87th) had not been a resident of the district for at least one year before the election, disqualifying him from consideration in my view, and his opponent, Mike Kondratick (D), did not offer a political platform worthy of being endorsed. Ramadan won that race by an exceptionally narrow fifty-one vote margin (0.47 percent) over Kondratick. Now that Ramadan has actually lived in the district for well over two years, and has an established voting record in the House of Delegates, we can give him a much more serious look as he seeks reelection. Ramadan was born in Beirut, Lebanon, and immigrated to the United States in 1989. He earned a bachelor’s degree from George Mason University (my own alma mater) and went on to do graduate study at Oxford University (Oxford, England), the American Graduate School of Business (Geneva, Switzerland), Johns Hopkins University (Baltimore, Maryland) and Georgetown University (Washington, DC). As a fluent speaker of both English and Arabic, Ramadan founded RAMA International Inc. in 2001. RAMA specializes in helping American businesses (including Curves International) expand into the middle-eastern and Indian markets. Before seeking election to represent the 87th District, Ramadan had been a long-time supporter and fundraiser for the Republican Party of Virginia and the Loudoun County Republican Committee. He first came to my attention during his 2011 campaign, which was rocked by the aforementioned residency controversy. Although the Virginia State Board of Elections and the courts eventually cleared his candidacy, Ramadan handled the issue poorly. Whether somebody who has officially lived in a district for less than a year should qualify to represent that district in the House of Delegates is a perfectly appropriate political question, both legally and morally. When asked about it, however, Ramadan dismissed the topic as some sort of partisan witch-hunt. I’m still not completely sure whether this response displayed actual paranoia, or simple ham-handed politicking. Ramadan also comes across, rightly or wrongly, as a shameless self-promoter. Today, as in 2011, the highways are littered with countless campaign posters and signs. There seem to be more Ramadan campaign signs this year than there were presidential campaign signs last year for President Barack Obama (R) and former Governor Mitt Romney (R-MA) combined. I disagree with those who would limit political advertising or declare highway campaign signs ‘illegal’—we have this thing call the First Amendment, and I would like to keep it—but I think that Ramadan’s campaign would benefit from some subtlety. But Ramadan’s actual voting record, and his plans for the next two years, are what really matter in this race. Ramadan has been very public with the bills that he has introduced and cosponsored, listing most of them on his own campaign web site and providing links to the actual records on the state’s site. Some notable bills supported by Ramadan, each of which has since become law, include a bill to encourage work and internship programs at high schools, a number of education reform bills proposed by Governor Bob McDonnell (R-VA), a bill to prohibit discrimination against home-schooled children, a bill permitting school districts to set their own start dates, a number of incentives and tax credits for home-based businesses, a bill to improve Virginia Department of Transportation transparency with regard to road condition and ride quality, a bill to permanently place the state Secretary of Transportation on the Washington Metropolitan Area Transit Authority (WMATA), a bill to make the solicitation of a minor a felony, strengthening laws against the abuse of the elderly, increasing penalties for the sexual abuse of minors, and several bills limiting homeowners associations from imposing undue restrictions of residents’ rights. Additionally, Ramadan was a cosponsor of the property rights amendment that was added to the Virginia Constitution following a referendum in 2012, which Off on a Tangent heartily endorsed. There are four key issues facing the 87th District in the coming two years. First, we must repair and reform our dysfunctional public education system. In this area, Ramadan is as vague and unimaginative as any other politician. He points to his opposition to education cuts for northern Virginia, seemingly unaware that American schools—especially those in our area—are among the best funded schools in the world. Money isn’t the problem; the mismanagement of that money is. Our schools could easily function as well as they do today, or even better, with significantly less funding . . . but only if we embark on a top-to-bottom reform. Ramadan also supported local school systems’ right to set their own schedules, and endorses all-day kindergarten. These are probably good things, but they do nothing to address the fundamental problems with our schools. Third, we must continue to foster business and job growth. Ramadan, as an immigrant who came to the United States and started a successful business career, understands that what makes this country great isn’t government regulation and high taxes. No, on the contrary, Americans excel more often than not when government gets out of their way. Ramadan has worked to keep our tax burden low and make Virginia—and the 87th District, specifically—a great place to do business. We can expect that Ramadan, if reelected, would continue to fight for reasonable, pro-business legislation. Fourth, and most importantly, we must jealously protect and defend our human rights, particularly those civil liberties enshrined in the U.S. Constitution and the Bill of Rights. In recent years, the federal government has made troubling assaults on our liberties—assaults that have been covered, in detail, elsewhere on this site. Ramadan has a good track record of supporting the right to life, property rights, free speech rights, religious liberty, and the right to bear arms. It is unclear where he stands on the recent Fourth Amendment violations by the National Security Agency (NSA), the Transportation Security Administration (TSA), Immigration and Customs Enforcement (ICE), and others . . . although there is little that the Commonwealth of Virginia can do about them at this time anyway. John Bell (D) enlisted in the United States Air Force immediately after completing high school, and later received a bachelor’s degree from Regis University and was selected for Officer Training School. He served as a finance officer and was responsible for finding ways to cut costs without adversely affecting the Air Force mission, winning awards in the process. Bell retired after twenty-five years in the service, and now leads a team of private-sector financial professionals who work with government clients to identify and reduce inefficiencies. He also holds a Master of Business Administration (MBA) degree and a Masters in Organizational Development from George Washington University. With good reason, Bell focuses much of his campaign on his fiscal chops. He is a proven waste-cutter with an eye for balanced budgets and efficiency. Although Virginia’s fiscal house is largely in-order, it never hurts to have attentive delegates fighting to keep it that way. And although I cannot be sure, I suspect that Bell, like most current and former members of our armed forces, has a profound respect for the American traditions of liberty and limited government. As mentioned above in my review of the incumbent’s reelection campaign, there are four key issues that deserve our attention as we go to the polls in November. First, education. Like Ramadan, Bell offers little more than the typical political platitudes about how important our schools are, how badly they need money, and how important it is to have good teachers. Given Bell’s attention to cutting waste and abuse in government, it is surprising that he makes no mention of how badly mismanaged our schools are. Although American schools are among the best funded in the world, we consistently under-perform as compared to other developed nations. We are spending over fourteen thousand dollars per-year on every single student here in Loudoun County, but what are we getting for that investment? Bell says that he will push for better qualified teachers and better teacher training, which is nice, but he offers no reform plan. He has also been endorsed by the Virginia Education Association (VEA), the Virginia teachers’ union associated with the National Education Association (NEA). Considering that the NEA has constantly opposed nearly every education reform effort yet proposed, this should be viewed as a troubling indicator of how Bell might vote on education matters in the House of Delegates. Second, transportation. Bell proposes the development of a long-term transportation plan for northern Virginia where we receive our fair share in transportation funding, a position virtually indistinguishable from Ramadan’s. He also proposes getting the most out of every transportation dollar by focusing on the most critical projects and investing in cost-saving transportation technologies. There is little to go on here, but Bell’s proposals are inoffensive, if not terribly unique. Third, business and job growth. Again, Bell’s proposals in this area are troubling because they are so vague. He rightfully states that we need to continue attracting businesses to the commonwealth, which means we need to have a skilled workforce and a well-developed infrastructure . . . but he doesn’t even mention the word ‘tax,’ which makes me wonder if he realizes how important low tax rates are to fostering business growth. He does, however, recognize the importance of an effective, well-managed state government that keeps its spending under control and minimizes waste and abuse. Finally, human rights and liberty. Unfortunately, Bell’s rhetoric in this area—particularly about Ramadan—has been down-right dishonest. Bell claims that Ramadan voted to outlaw common forms of birth control (chemical contraception), that he would have the police investigate miscarriages, and so-on. These would be troubling claims if they had any basis in reality, but they don’t. I expect a certain amount of spin and exaggeration in political campaigns, but I would also expect that a man like Bell—who spent twenty-five years in uniformed service—would know something about honor and integrity. In addition to lying about his opponent in a misguided effort to paint him as some kind of extremist, Bell also resorts—like many of his ‘pro-choice’ colleagues—to speaking in euphemisms with regard to the right to life in order to maintain a semblance of moral consistency. Bell says Ramadan would “force women to get a permission slip from their husband before making decisions impacting their health.” Note how he cynically pretends that we are talking about some ambiguous ‘health’ decision, not a decision to terminate a human life that two people created together and two people share responsibility for. Bell also characterizes Ramadan’s support for required fetal ultrasounds as some sort of obnoxious requirement that women undergo unnecessary medical procedures, completely sidestepping the fact that, for any other procedure, it would be required by basic medical ethics in order to gain a patient’s informed consent. In other words, a doctor wouldn’t remove an infected gall bladder without showing you a picture of it first, so why should an abortion be any different? And of course, this whole discussion requires the most ghoulish euphemism of all: the declaration that some human life isn’t life at all, and can be quietly destroyed at-will. A man who spent twenty-five years protecting Americans’ freedom should know that we are all endowed by our creator—from the very beginnings of our lives—with certain unalienable rights, that among these are life, liberty, and the pursuit of happiness. Both Ramadan and Bell are hopelessly adrift when it comes to education policy. Both make reasonable, if uninspiring, proposals for transportation improvements, but Ramadan has a solid record as a pro-transportation legislator (his misguided support for MetroRail and opposition to the ‘Bi-County Parkway’ aside). Both ‘talk the talk’ about business and job growth, but Ramadan has a record of ‘walking the walk’ and is more clear about the need to keep low, business-friendly tax rates. And of the two candidates, only Ramadan seems to understand that a free nation must protect the rights of all citizens, including the youngest and most vulnerable, against all who would encroach upon them. Add to all of this the disappointing fact that Bell has slandered his opponent with gross exaggerations and misrepresentations in an effort to score cheap political points, and it should be crystal clear which of these men is best suited to represent us. I am happy to endorse the reelection of Delegate David Ramadan to the 87th District seat in the Virginia House of Delegates.